Last year, the Moto Z legitimized modular phones. Plenty had tried and failed to deliver a device with swappable hardware components, but Lenovo/Motorola managed to pull it off — and sold “millions and millions” of phones in the process. In fact, the first Moto Z did so well the company made the line its flagship product — a bold move for a device many wrote off as a gimmick. The arrival of the Z2 line is a moment of truth for the line — and modular phones in general. 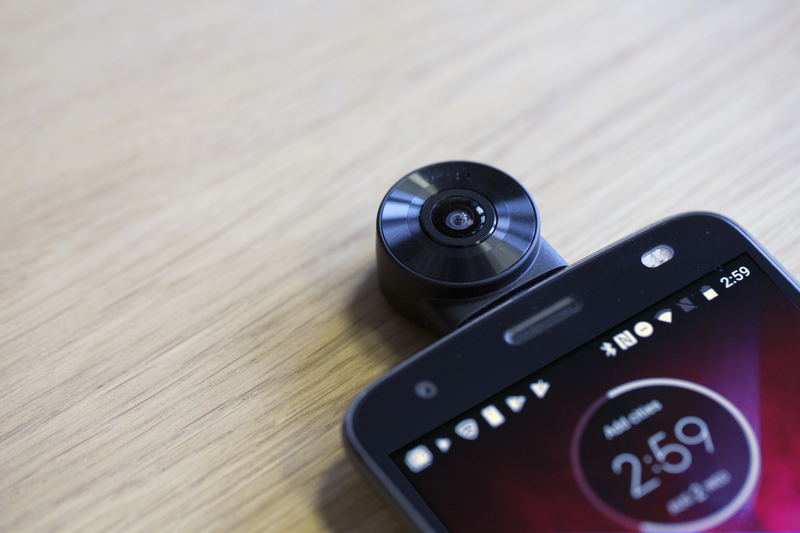 The product’s novelty was enough to generate plenty of interest for the first generation, but a year after its release is the perfect time to reassess what the inclusion of swappable Moto Mods actually brings to the product. The first Moto Z succeeded by being a solid piece of hardware with the added bonus of modularity. Even if you avoided Moto Mods altogether, you still got a pretty decent phone out of the deal. That’s especially good in light of the fact that users haven’t been particularly bullish about the Mods themselves so far — buying between one and two for every handset purchased. And its hard to make a compelling case that any Mods released since then qualify as essential. Thankfully, Motorola is still focused on making a good phone underneath all the Mods. You’ve got your standard selection of flagship features here, including the latest Snapdragon chip, healthy heapings of RAM and storage (4GB and 64GB) and a “shatterproof” display. But let’s be real: people are buying these for the Mods. The number is definitely expanding — those last three are new for this year. That’s not exactly exponential growth, but it’s something. More important than the number of Mods available, however, is the question of how many are actually useful — and how many require modularity for that use? There are three different battery packs, but does the fact that they’re modular battery packs make a big difference over buying a battery case? No, not really. It’s hard to make the case that any of the above add-ons gain a lot by being modular. In fact, the Mods system has a number of downsides. For one thing, you’re limited by the number of companies that are currently developing hardware for the platform. In most cases, you’re stuck with a single product from one company. Andy Rubin pointed out another key issue with the Moto Z system when he introduced his own modular phone a few months back: This specific form of modularity is limiting. 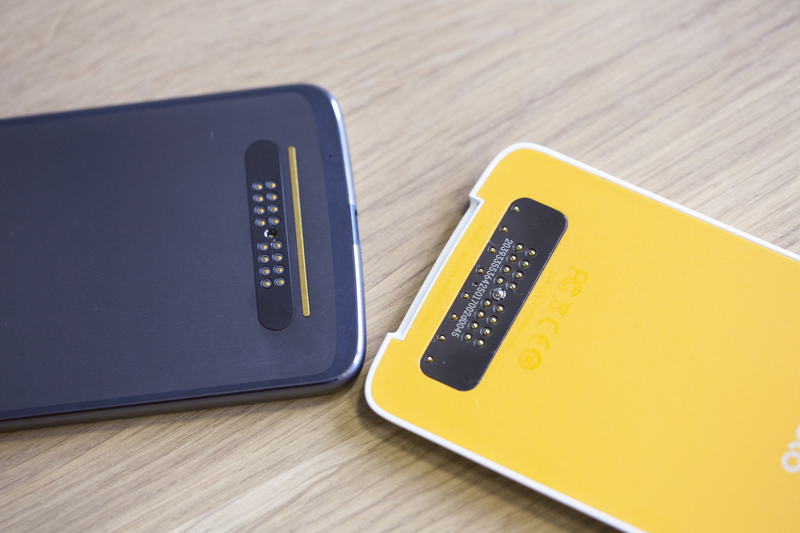 Given the way the Mods occupy the entire back, Motorola’s locked itself into a specific form factor. In order to remain backwards compatible, future Moto Z phones are going to have to stay more or less the same size — a big issue in this age of ever-shifting screen sizes. The company recently noted plans to release around a dozen Mods a year — a list that’s likely to include some redundancy, as in the case of the multiple battery packs. For now, the system is still awaiting that killer Mod. The 360-degree camera and gamepad are nice additions, but Motorola has yet to discover the add-on that makes the modular system a must have. Modularity does come with a few other benefits, thinness being chief among them. The phone is a full millimeter thinner than iPhone 7, a feat the company accomplished in large part by offloading a fair bit of functionality to the Mods. Battery takes the biggest hit here, slimming last year’s 3,500mAh to a much more anemic 2,730. In an era when most companies (Motorola included) have been beefing up batteries, this feels like a step backward. Certain non-essential functions can be left to Mods, but everyone needs a battery. The other sacrifice is less surprising. The headphone jack is MIA once again, after making a return on the Z2 Play earlier this year. Earlier this year, a Moto rep told me the company is still committed to helping get rid of the jack, but is still keeping it around for lower-priced phones. The thought there is that people who aren’t shelling out money for flagship handsets are likely not buying Bluetooth headphones yet, either. Fair enough, but losing functionality by buying a more expensive phone is just one of those fun bits of consumer electronics irony. Motorola’s Shattershield technology made the cut this time around. The technology encases the screen in a couple of thick layers of plastic to help avoid cracking/shattering when dropped from a (reasonable) height. Any tech that makes phone screens more rugged is welcome, especially with a handset as thin as the Moto Z. The proprietary technology, however, comes with a major caveat: That exterior screen scratches like crazy. After carrying the phone around in my backpack for a day, the front screen looked like it had been put through the wash. I shudder to think of what the phone would look like after another few months of that treatment. As has been reported, the outer layer also makes an audible clicking sound when you press down near the fingerprint reader or camera. Not exactly a hallmark of high quality. Fortunately, the front bit is replaceable — unfortunately, unlike past models, users can’t do it themselves. The device also gets rugged support from the same grade of alloy you’ll find in the latest iPhone — good news given its slender frame. Strangely though, Motorola decided to forgo the level of water resistance you’ll find on most modern flagships. It seems like an odd oversight for a company that has focused on ruggedness in recent years. 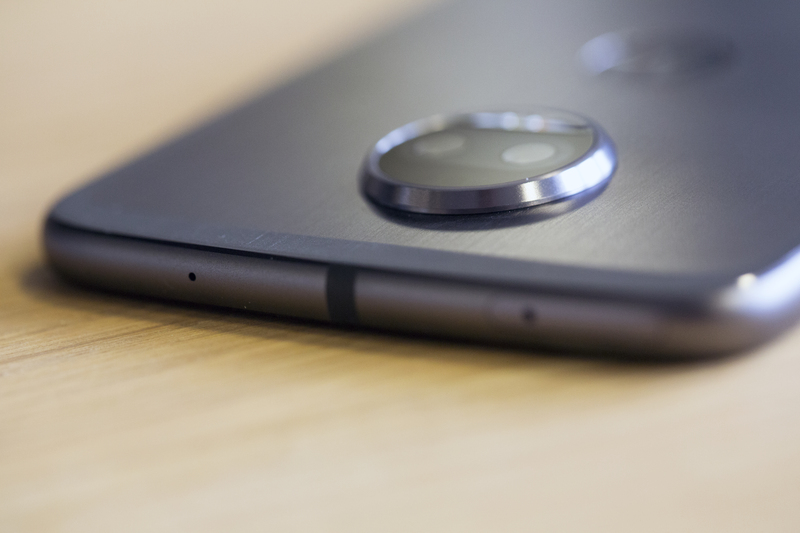 The latest Moto also catches up to fellow flagships with the addition of a second rear camera. The Mod form factor means both are placed in the center of the rear, as part of a notable camera bump that juts out about the width of a nickel from the phone’s otherwise svelte frame. The addition of a second camera brings some cool new tricks to the phone, including the ability to create a makeshift bokeh effect — blurring out the background of a photo to highlight the subject. 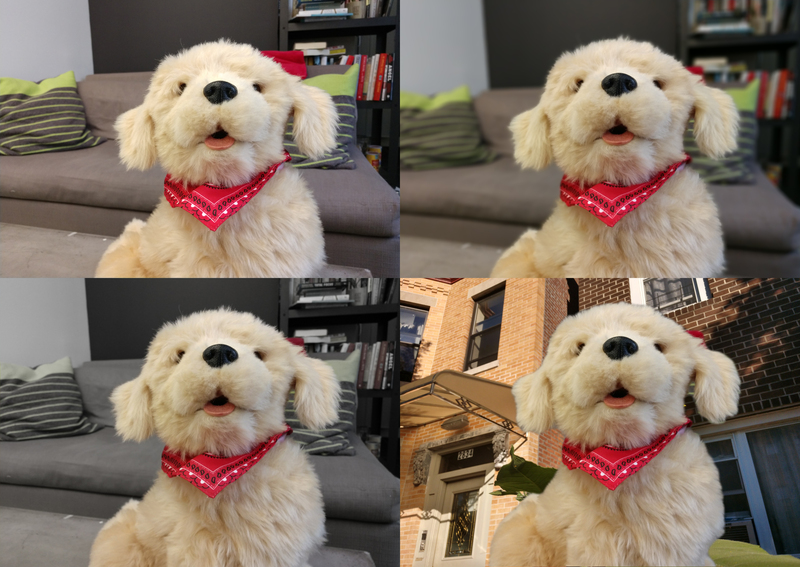 By playing around with the phone’s editing software, you can also make different portions of the image black and white and swap backgrounds — though the latter looks like a bad green screen effect. The addition of a second camera is a nice touch that brings the Z2 up to speed with fellow flagships. And Shattershield is a welcome addition, as well, though the ease with which it collects scratches does negate some of those benefits. Otherwise, there isn’t a lot here that distinguishes the handset from fellow flagships, aside, of course, from the Mods. The Moto Mod system remains one of the more compelling features in modern smartphones, but the line is still in search of a killer app. As it stands, there are just too many sacrifices on-board for the sake of modularity. Things like battery life shouldn’t require a user to plug in an accessory. If none of the current Mods strike you as necessary, it’s probably best to take a wait and see approach to Motorola’s growing modular universe. As it stands, at $720, plus the price of the Mods, which range upwards of $200, it’s a pretty high barrier of entry.